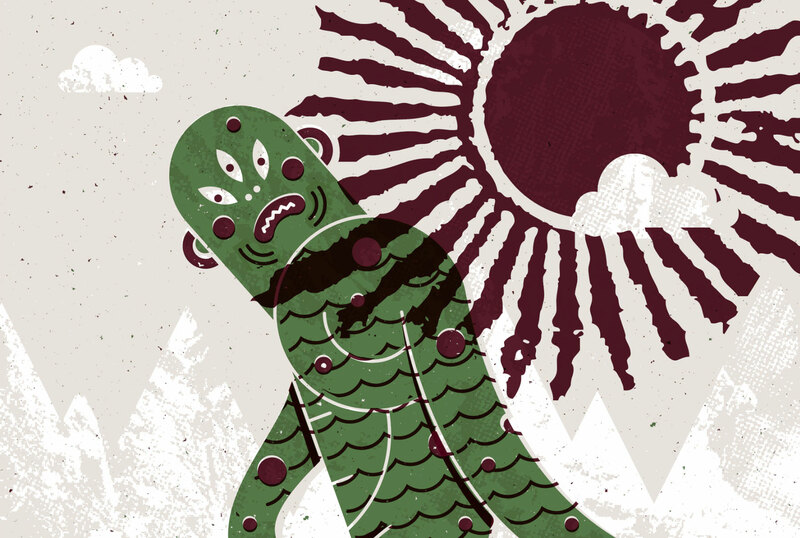 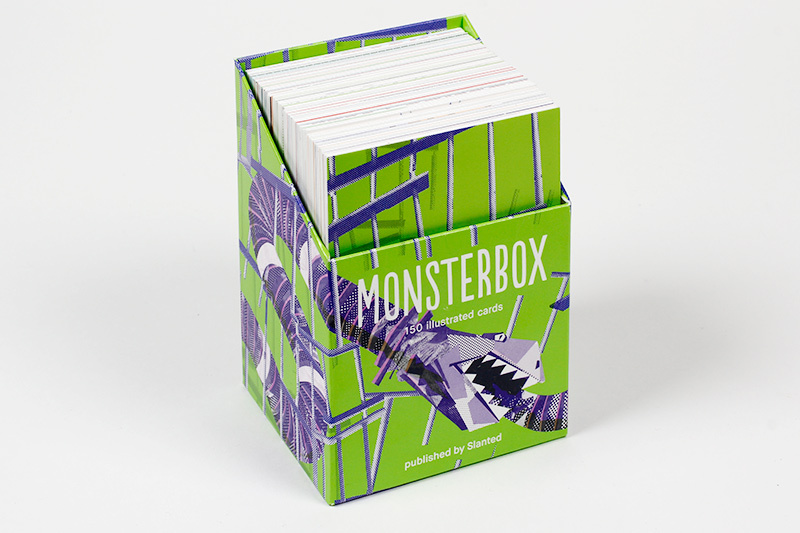 MONSTERBOX is a collection of outstanding monster-Illustrations from all over the world. 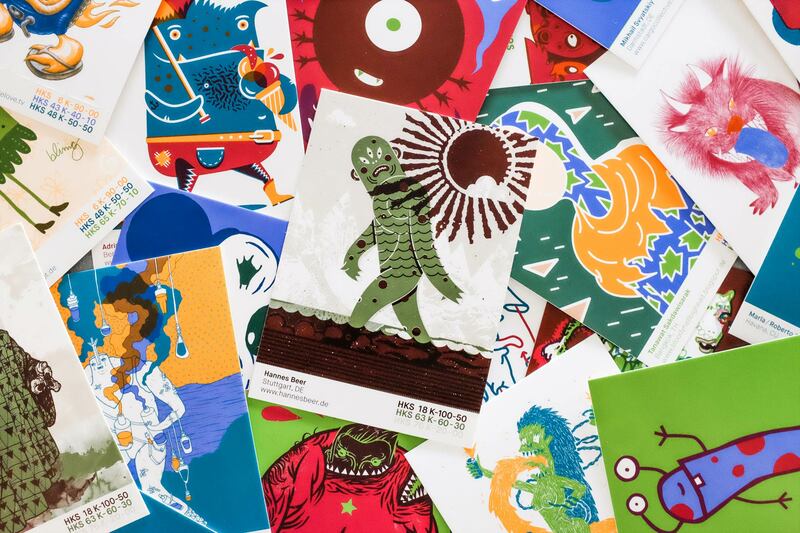 Each illustration is printed on thick cardboard with three different spot colours. 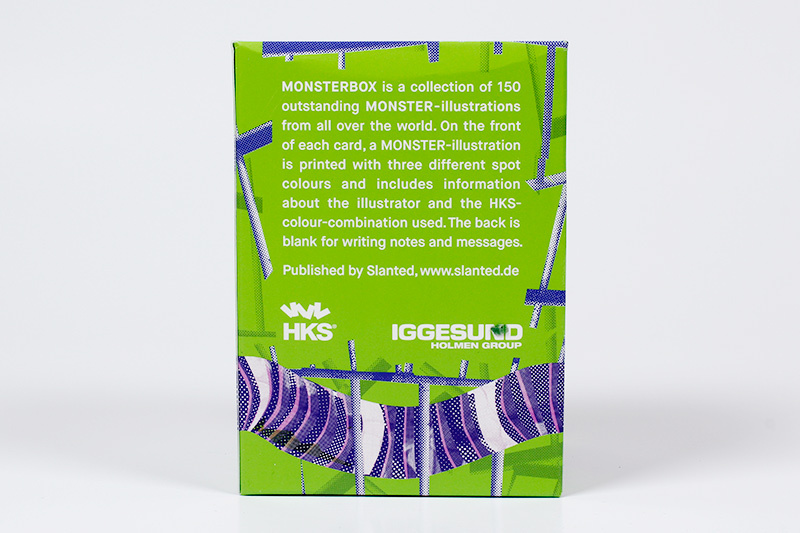 All in all 150 cards are presented in a high quality box.